PRICE REDUCED! Fabulous 1940s bungalow in Lincoln neighborhood. Home COMPLETELY refurbished including plumbing, electrical, cosmetic, and maintains its 40s charm! Living room with fireplace, 2 beds & full bath upstairs. Downstairs is family room with fireplace, 2 beds, full bath, & laundry. Fully fenced, beautiful backyard with raised garden beds & new sprinkler system. 1 car detached garage, driveway. Convenient to coffee shops, downtown, & Lincoln Elementary. 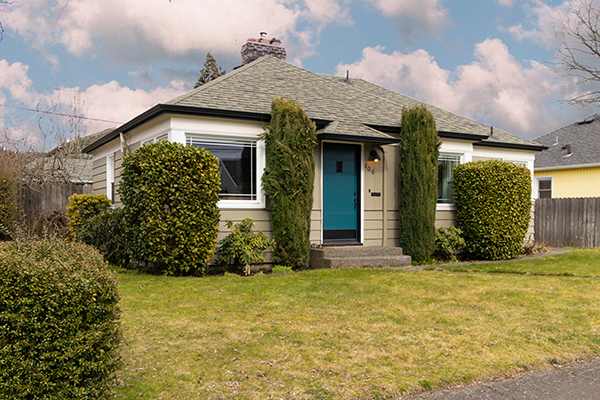 Call Nathan Cano’s team at (360) 823-3333 or contact us today to see this very charming downtown bungalow! Nathan and his team were more than helpful to not only help us find a house but help our family find the right situation. His team was professional and not pushy making sure we found the right area for our family. I would highly recommend his service to anyone looking for a home in the Pacific Northwest. Nathan helped us find our house and it was an excellent experience. His knowledge of the area and the entire purchase process was invaluable. We would definitely use Nathan again. Nathan was a big help in finding my dream home! I would recommend Nathan to anyone needing help buying or selling a home! He negotiated the price we wanted and we couldn’t be happier! Cano Real Estate was great. Troy Frei was great and helped us with all our questions and has great knowledge of the business. Lots of energy and was there every step of the way. I would recommend Cano Real Estate to everyone.